Came across one published in the ‘West Cork People’ after the ploughing match in Timoleague. 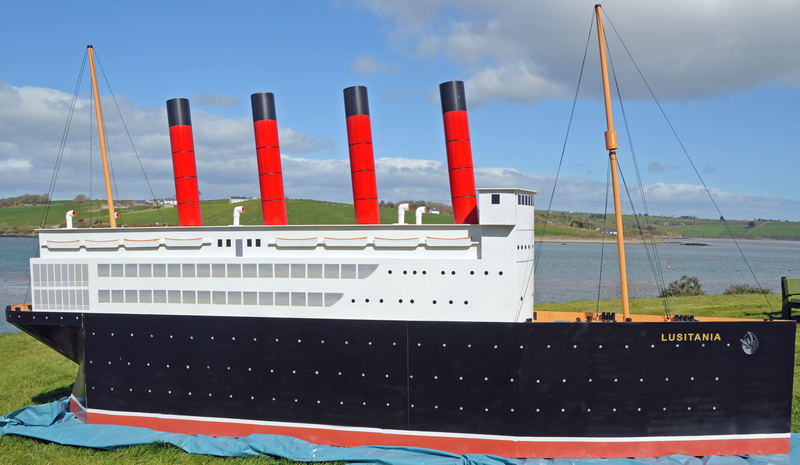 the 7th May will mark the anniversary of the sinking of The Lusitania in 1915. 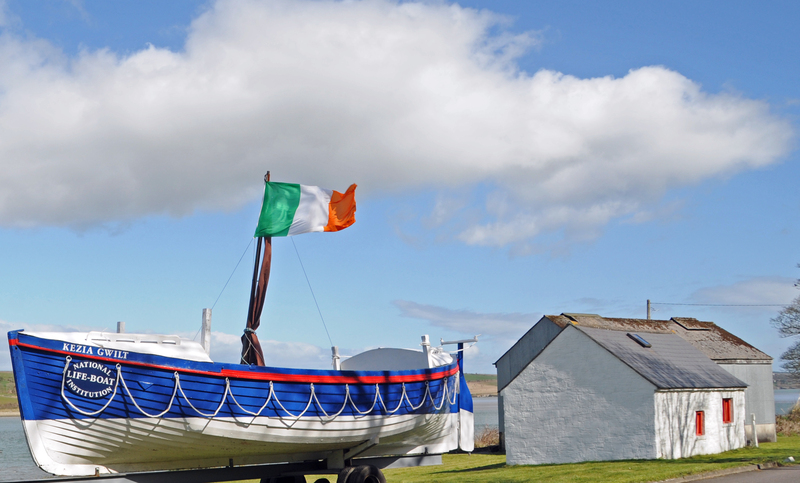 There will be a number of events organised to commemorate the event and Courtmacsherry has already put a couple of static replicas on display. The top photograph is of a mockup of the Lusitania and the the other is a rebuild of the first lifeboat on the tragic scene. Peter was one of the 17th century Ulster poets and was originally from Armagh. Whilst taking repose with a glass in their hand. I value no more a Parliament Man. Pox on them if e’re they beg for a truce. I don’t value Bashaw or great Coly Can. I’m covered with clothes and that’s my demand. That they’ll break other’s noses before they’ll have done. With a bottle of beer un-undher my thumb. The poor man, or shame him, in the long run? But purchase high fame, great power and fun? Then what need I care for a Parliament man? GAA should hand over receipts to match goers | Irish Examiner. 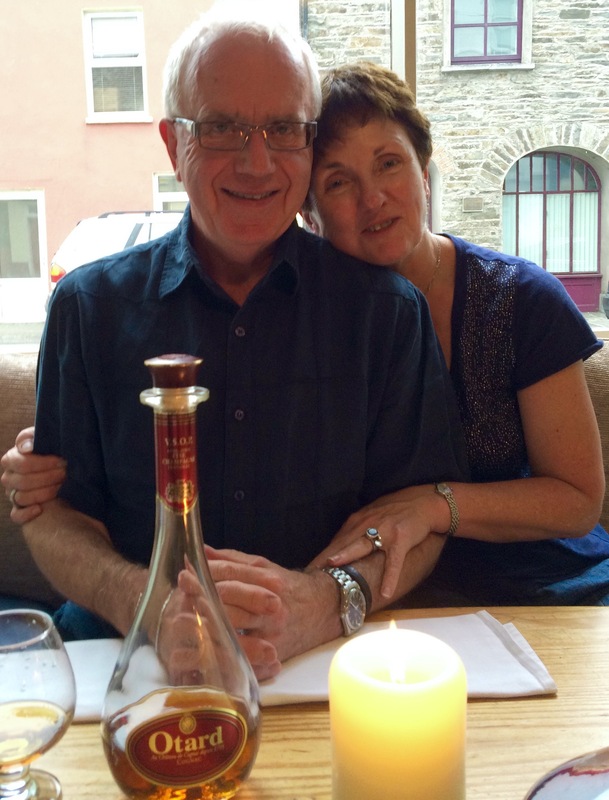 These are some thoughts on our holiday in Brittany during September. 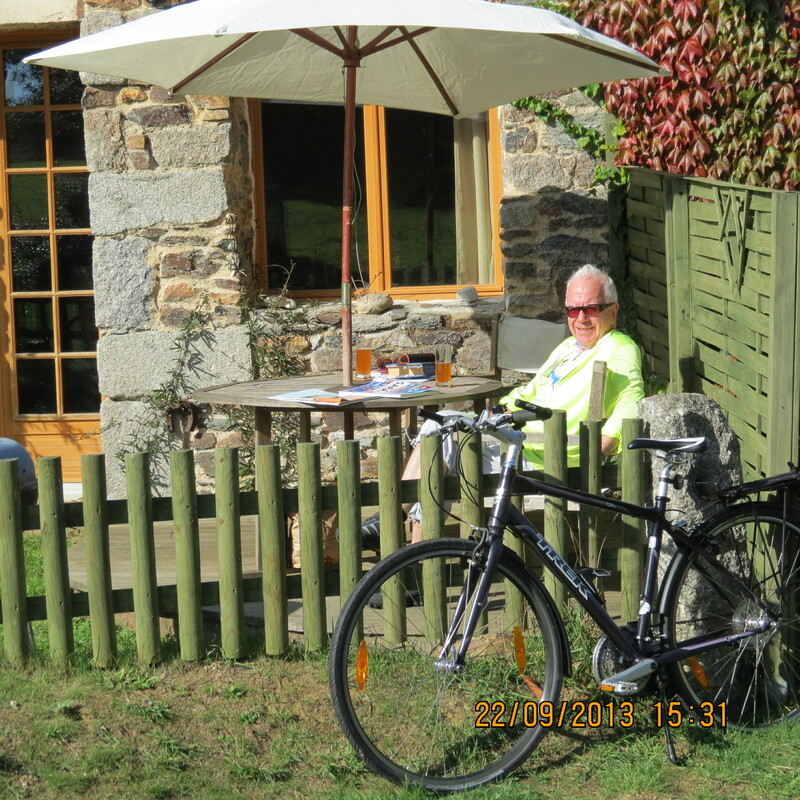 We spent two weeks in a little gite in northern Brittany near La Roche Derrien. It was a beautiful time spent in the quiet of the country surrounded by chickens, geese, and goats. We had the car and the bikes with us and were able to explore the area to our heart’s content. Generally people seemed to smoke more. The Irish attempt to give up seemed to be miles ahead. The roads were in a very good condition and the drivers were very generous to us cyclists. The cost of living at the local supermarket was at least 20% lower than we are experiencing in Cork. Eating out was yet again cheaper and the standard of service and the quality of the menu was much higher. Proposal for O’Flynn’s to be included as one of Ireland’s best shops. 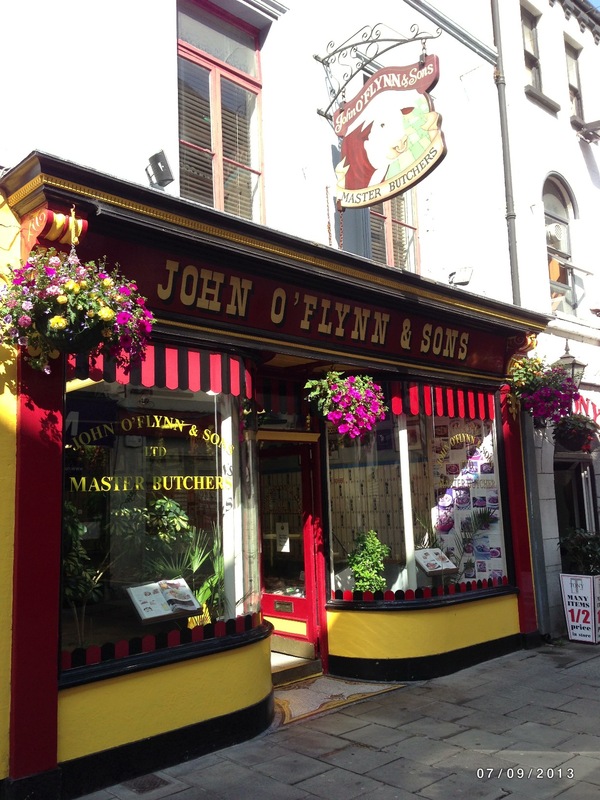 It is difficult to miss John O’Flynn & Sons of 36 Marlboro Street in Cork city. If the Bulls Head over the premises escapes your eye, it is surely to be caught by the recipe book in the window. Depending on the page open on a given day the mouth watering pictures are sure to tempt you inside. Once inside this crisply clean shop, you are greeted warmly by Simon or Patrick, both eager to serve. Let the experience begin…..
It’s best if you have a list and know what you want. Otherwise you are likely to be tempted by the perfectly arranged displays of well stocked and beautifully arranged meats and fowl, unequalled anywhere in Cork. If it’s BBQ time you can choose between 16 varieties of sausages made in-house, home made burgers sitting next to locally produced black and white pudding, pancetta and bacon. For the more discerning you can choose from duck, venison, rabbit and pigeon. However, I stick more closely to the delicious cuts of lamb, beef and pork. What makes the whole experience special is the service and good humour. Patrick and Simon always take the time to ensure you are comfortable with the recipes you intend to apply to these meats. What I love about visiting O’Flynn’s butcher’s shop is the warm welcome, friendly atmosphere and the laugh I get which is all part of the experience. O’Flynn’s in Marlboro Street,Cork have the best quality fare. A taste and experience not to be missed. It’s a real legend! Paper.li – Be a publisher. This is surely an important statement made by David Duffy in Galway and reported in the Irish Times on 23rd February 2013. 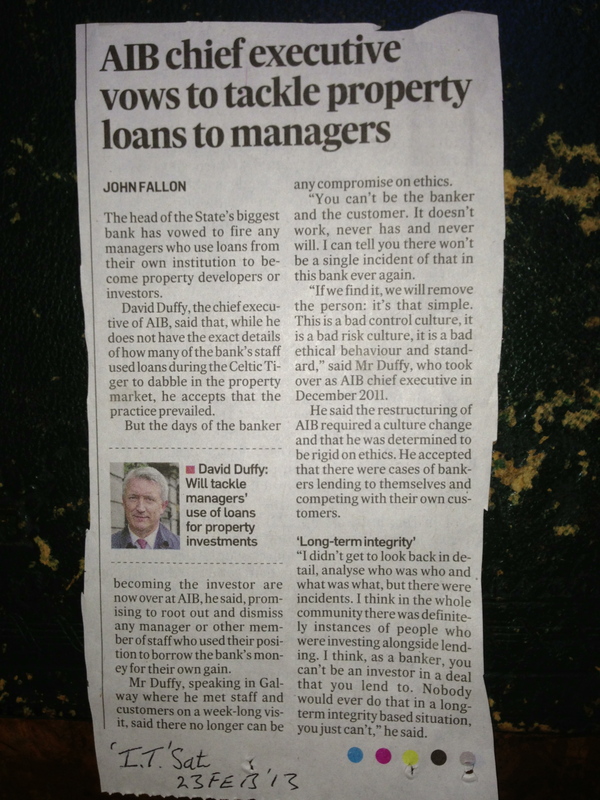 Strong words indeed from the Head of AIB, David Duffy, and quoted in John Fallon’s article in Business Today, Saturday 23 February. Surprise, surprise, only now is he able to admit that his own Managers were using the Bank’s funds to run parallel businesses as developers. His hand has no doubt been forced by the new “Probity Regulations”. Now, we all know that many Managers are being let go this year with substantial packages, including lucrative retirement pensions and lump sums. What, if anything, will Mr Duffy do to stop this blood letting, using tax payers’ money and can he move retrospectively to catch those who thought that they were out the gap?